Here you go. From yesterday, @ 18 days old. OMG how do you get anything else done?? They are just absolutely gorgeous. So Jolee orZoelee?? isn't going to stay all black? Or is that her last pic at the top of screen but bottom picture? Thank you for sharing I need a puppy fix. 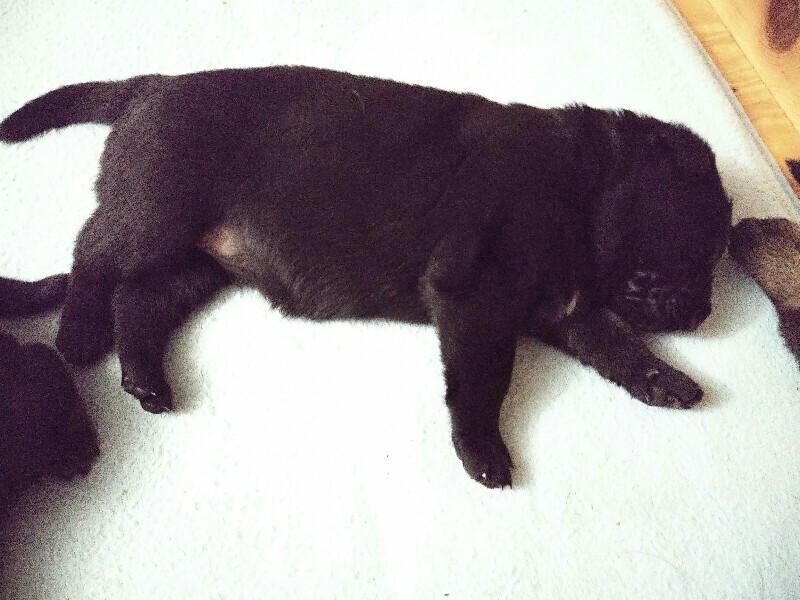 Soooooo cute and what little chunks. 18 days old, OMG where has the time gone? Nans, Winnie is a great momma so I don't have to hover over the babies. Lol. She doesn't like for me to pick them up ( I think she is worried I'll kidnapthem, lol) so while she is outside, I handle them. Already for a few days, when I put my hand in the box, they lean forward and find me...wagging tails and Zoelee likes to lick my hand and face, tail going faster and faster. Zoelee is still solid black. Zelda ( call name Dottie) comes to me but not a big tail wagger, same like her dad. Ripper is always happy to see me, but he does wag a lot. Dottie does not lick my face. 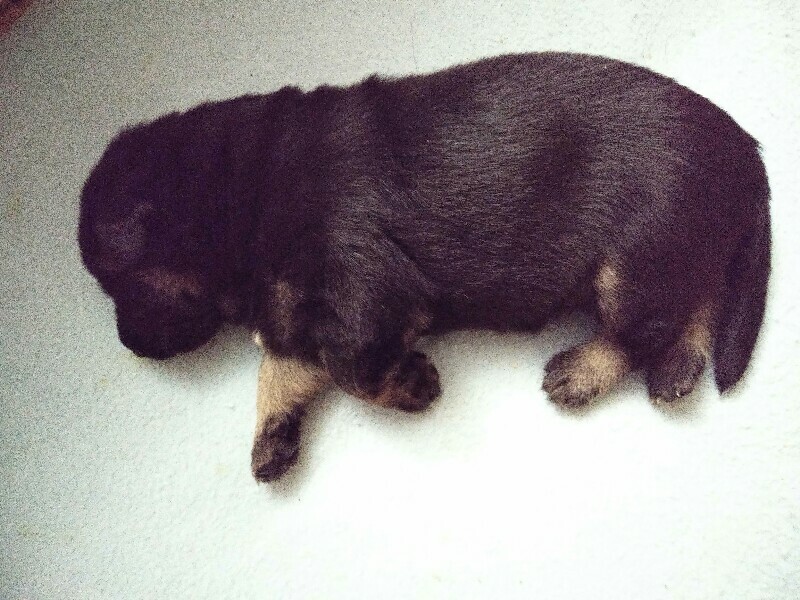 She is black and tan, first pup in pics. Zeb, he is more into showng he's glad to see me by wagging his tail, but is biting my hand already...ever since his eyes opened he is biting. Already when I just speak to them, they try to locate the source of my vioce and come find me. No ens, but probably similar evaluating. I shouldn't have looked. Now I'll be fighting with myself for a week. well, I have to admit, puppy fix is a real thang. That second pic looks like pure puppy bliss! Thanks for the update! 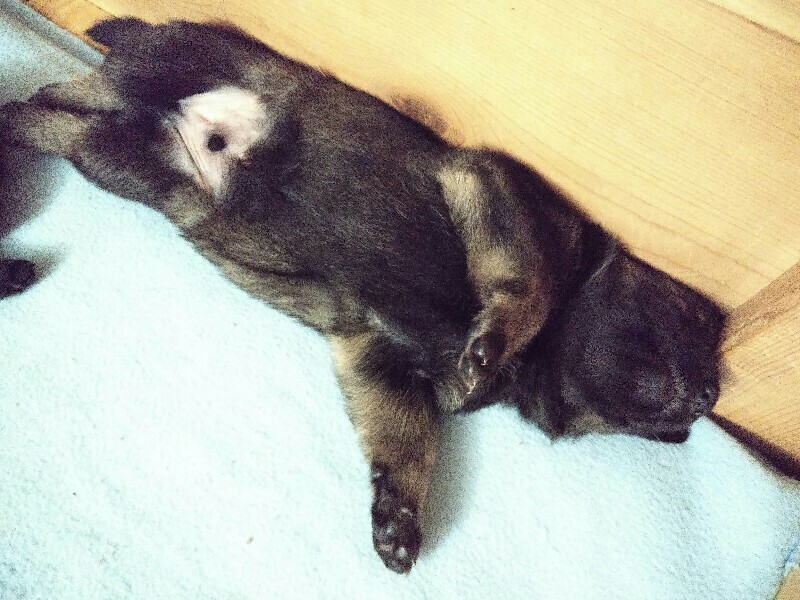 The one belly-up is calling my name! Precious Joanro! Please don’t be shy with pics for the next few weeks! Had to come back for another look, so so cute. AND thank G their spoken for except the black one. Right Joanro?? 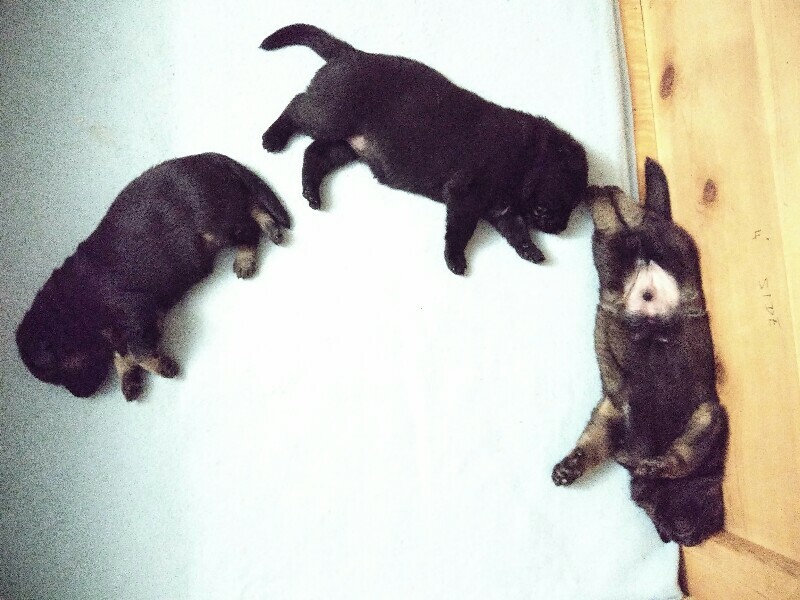 They are 20 days old today. Can't stand it.